Feeding the chick continues and sometimes the chick remains low in the nest without poking its head up for any watchers to see! 5 photos posted: http://www.pbase.com/birdshots/image/150246783 Click “next” in upper right to advance frames….enjoy! April 30, 2013 in Peregrines at 250 Canal St. The window opening where the nest is located seems very small quarters for the now 4 hatched chicks. 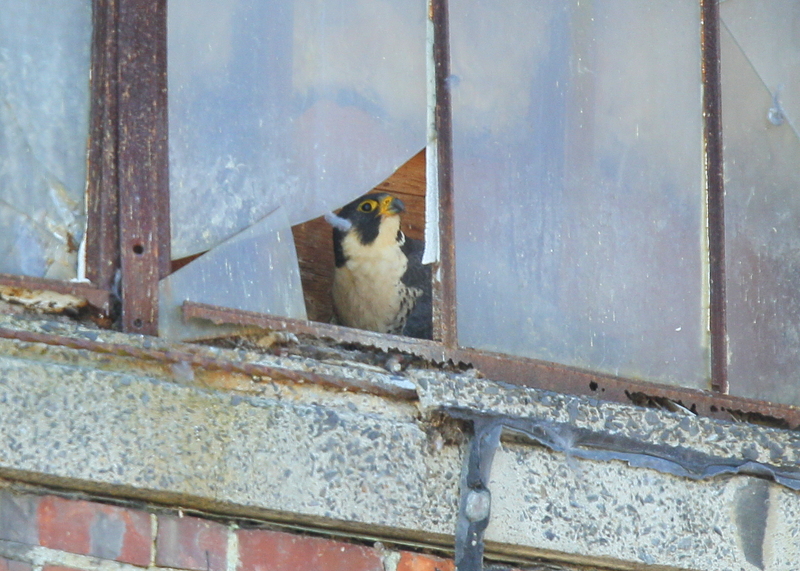 Some background discussion has been taking place with MassWildlife officials about the possibility of relocating the nest to more open space in order to allow the chicks the roomr needed for the next stage of growth. Stay tuned! 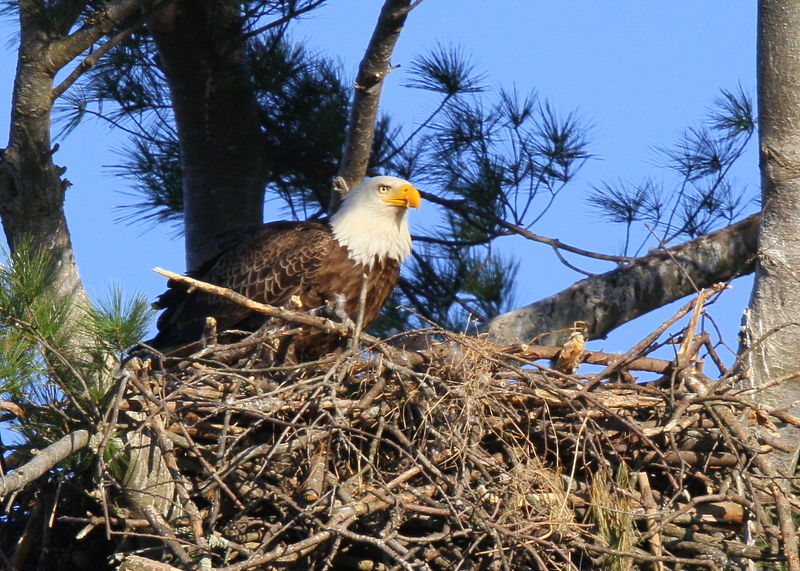 Bald Eagle with chick in nest! The chick continues to receive regular feedings and is growing right on schedule. What a treat to watch at least one adult feed and the chick receive regular feedings in late afternoon light. The chick is starting to stretch its wings and making pre-flight flapping efforts. More photos posted: http://www.pbase.com/birdshots/image/149939192 Click “next” in upper right to advance frames…enjoy! April 29, 2013 in Peregrines at 250 Canal St. The activityaround the Peregrine falcon nest site continues in fits and starts with bursts of acttion and long periods of quiet! Upon arrival this morning, the male was perched in beautiful morning sun against a sapphire blue sky. Out of nowhere the female appears and circles one of the buildings and out of fisght. 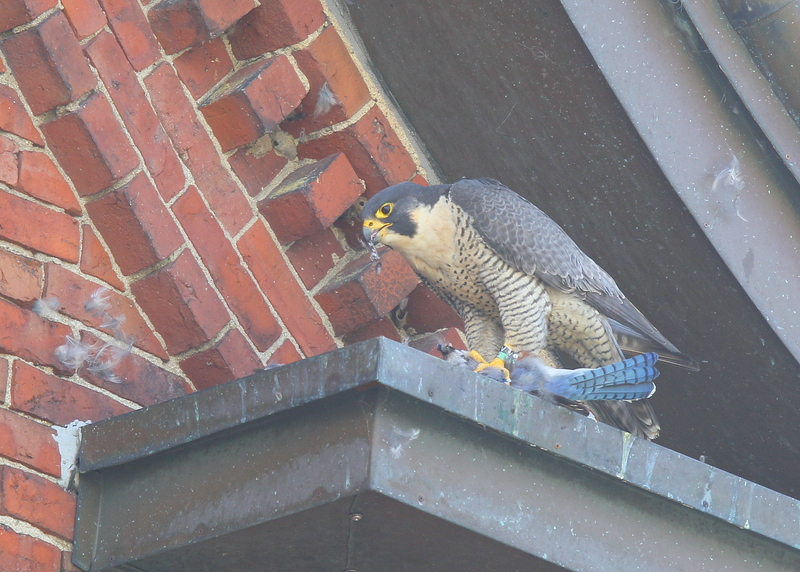 She returns a few minutes later with pray in talon and zooms up to a perch ledge to rip apart a bluejay. Quite a show to watch the systematic feeding frenzy. 6 photos posted: http://www.pbase.com/birdshots/image/149938811 Click “next” in upper right to advance frames….enjoy! 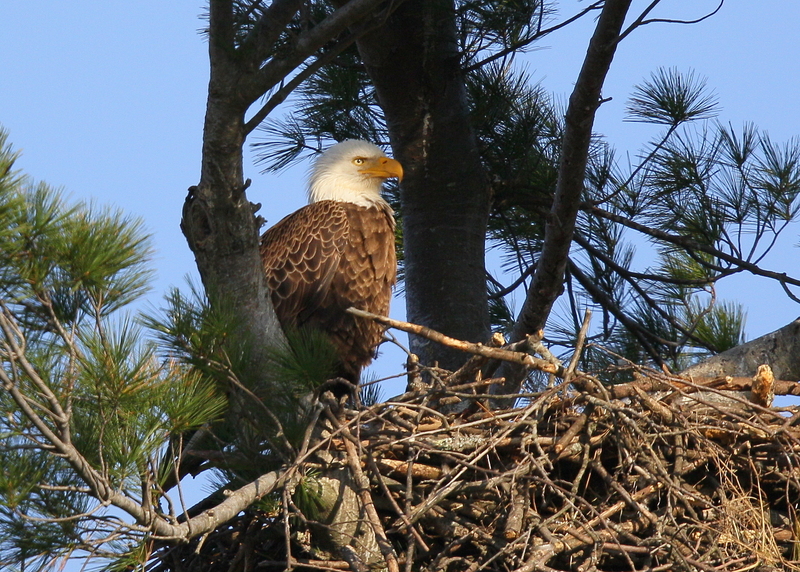 The Bald Eagles continue to feed teh single chick and can be seen making visits to the nest with regularity! 5 photos posted: http://www.pbase.com/birdshots/image/149939187 Click “next” in upper right corner to advance frames….enjoy! 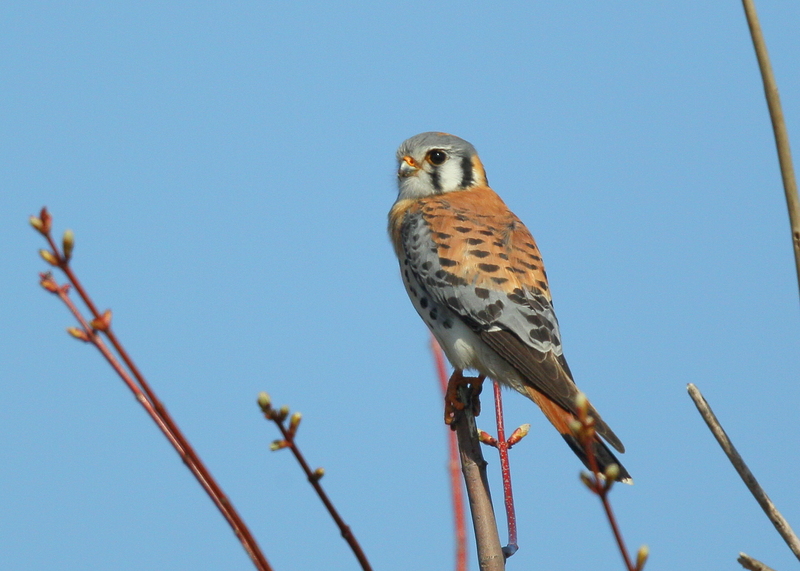 While driving along Merrimack St. this morning, had time to check on locations with recent Kestrel sightings. What a treat to spot and photograph this beautiful male. There were two kestrels perched togethger but the female flew off to a nearby perch. 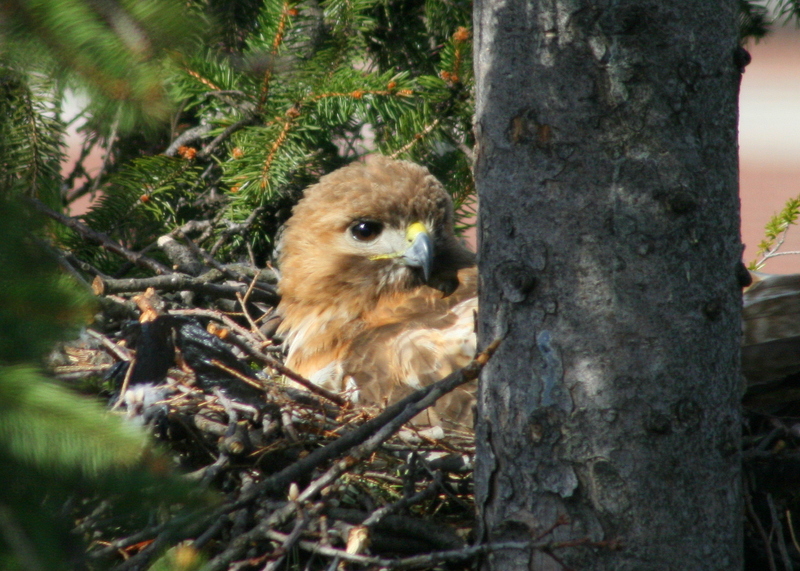 The Red-tailed continues her steadfast incubating duties awaiting the hatching of the first chick! 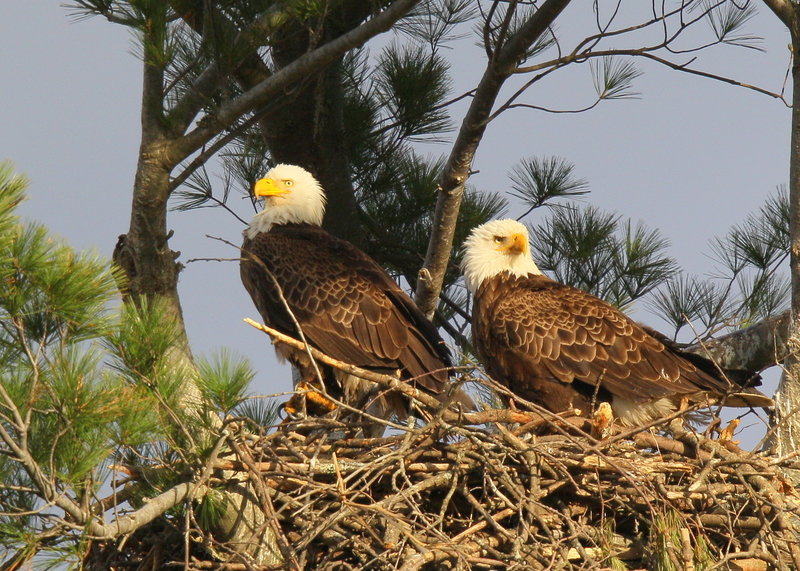 Bald Eagle adult pair on nest! 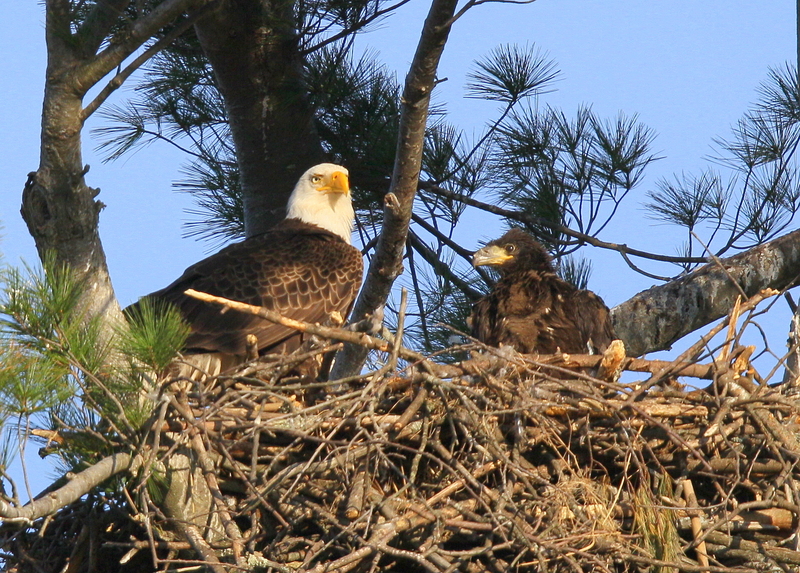 The pair of adult Bald eagles continue to be very busy around the nest feeding the chick. They are constantly alert for all passing birds and other nearby activity! 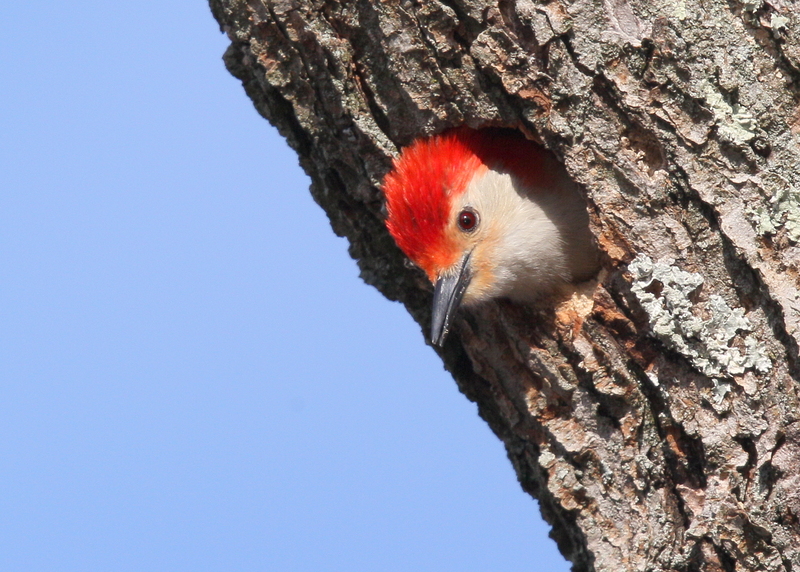 Discovered this male Red-bellied Woodpecker one morning during a walk along the Methuen Rail Trail. Over many mornings, it kept making an incessant series of calls that suggested a nearby nest. After many visits and lots of patinece, finally located the nest. No chicks yet!! 4 photos posted online: http://www.pbase.com/birdshots/image/149893857 Click “next” in upper right corner to advance frames! 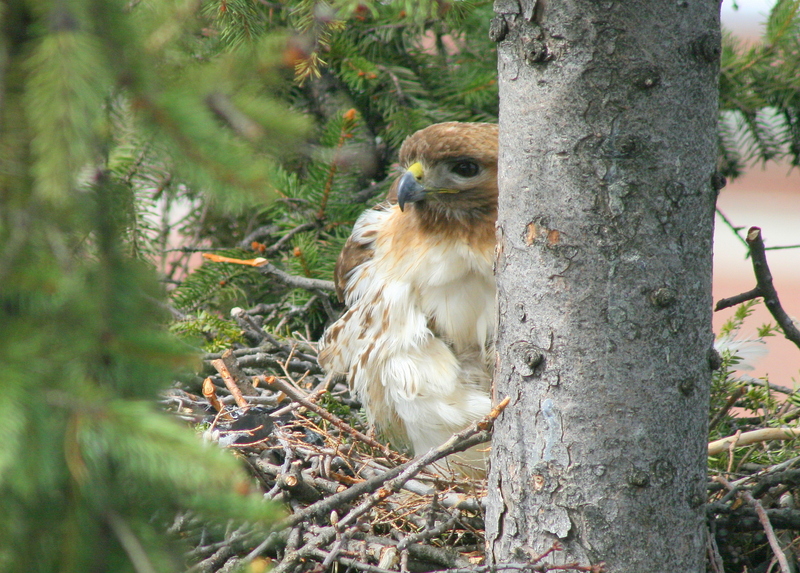 The Red-tailed continues to be patient in incubation mode!